This three piece sterling silver cut out heart necklace is a beautiful reminder of the love between a mother and her children. 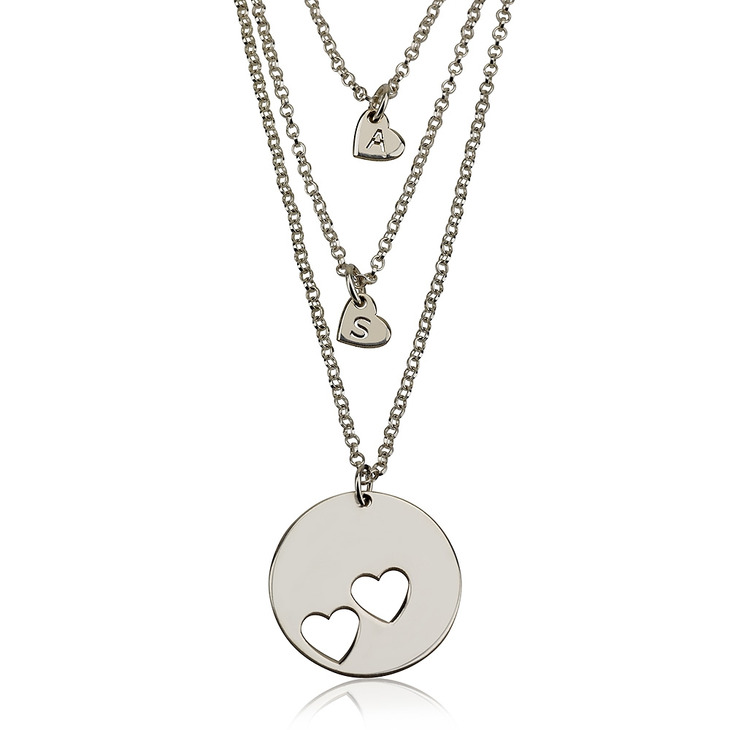 Keep the circle with the heart cut outs for yourself, and engrave the initial of you children on the hearts. These necklaces are made of the finest sterling silver material. 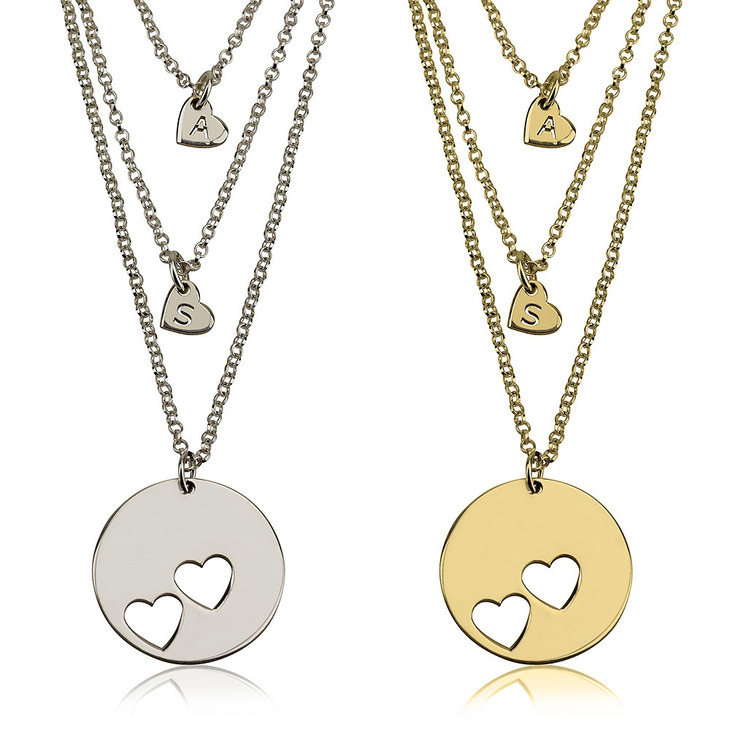 Keep in mind that these necklaces will be a constant reminder of this unconditional love. The concept of the necklace was awesome; everyone loved it. However, on the main pendant with the cutouts, I could actually see where the machine scraped along the surface. It was pretty visible. That is a little embarrassing to give a gift that is scratched up a bit. I would work on avoiding that happening on your products in the future. We sincerely apologize for this quality issue with your necklace, and we've contacted you about possibly exchanging this immediately for a brand new necklace. Quality is of the utmost importance to us, and we hope this issue can be resolved as soon as possible. Quality product! It is beautiful! took really long to get it, had to keep emailing them, not happy with the product. the chains were all to short. Sincerest apologies that this took so long to reach you. Shipping to the USA we do promise 6-9 business days and I am sorry that you were waiting longer than that. I know that during holiday periods there can sometimes be delays. 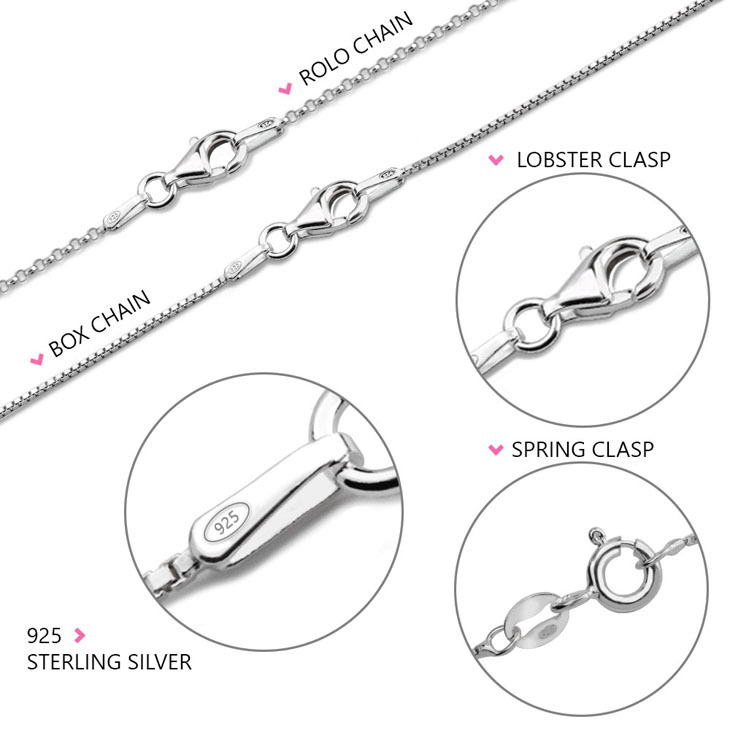 In relation to the chain lengths, I have emailed you so we can ensure you receive the correct necklace sizes. 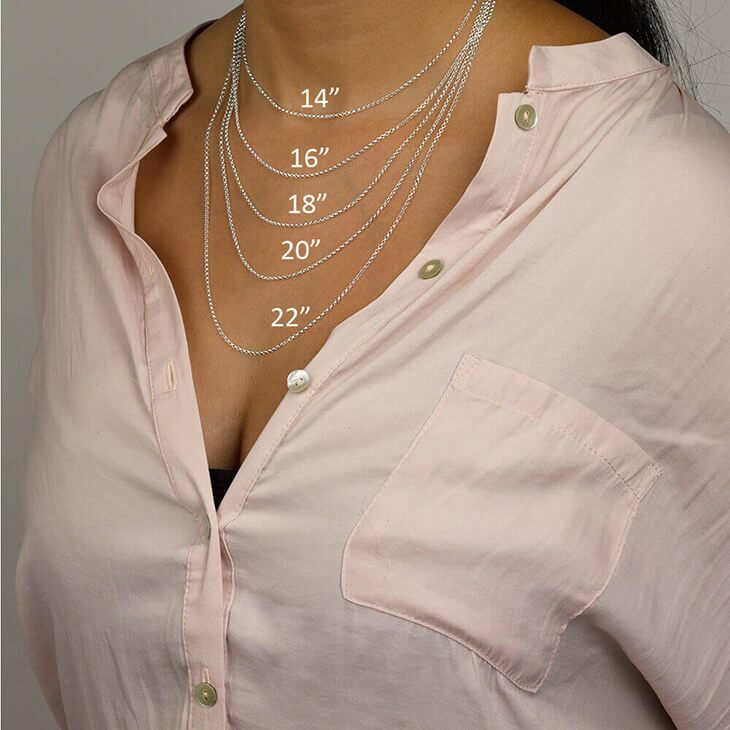 There is the option when ordering your jewelry to pick the length you want but I know sometimes we don't know the correct size to pick. We will happily exchange the chains for you. Very satisfied with the necklaces and my girls loves them! I ordered this as a gift for my God daughter who is expecting her first baby. I thought this would be a gift she would have long after the baby is grown...she absolutely loved it!! Fast shipping, great prices! I will definitely order from you again!! The only con that I have is that the hearts for my daughter are VERY small. They could be slightly larger without loosing the descreatness of the charms. I bought this for my mom, sister and I for Christmas because my sister is moving out of state and this is a great momento and treasure for the three of us to share. The quality is fantastic and it arrived quickly and I love the size of the heart charm. It is tiny and dainty.